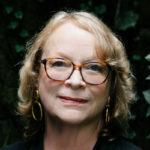 American Academy of Arts and Letters awards ($10K each) go to eight writers: Clare Cavanagh, Mary Gaitskill, Ishion Hutchinson, Marlon James, Kay Redfield Jamison, Rick Moody, Mary Robison, and Brenda Shaughnessy. The Virginia Festival of the Book in Charlottesville closes with a panel composed of hometown poet Rita Dove, plus Margo Lee Shetterly, Peter Ho Davies and Tyehimba Jess—all 2017 Anisfield-Wolf recipients—speaking to a SRO crowd about how art responds to racism. “I’m happy to be part of this conversation in a town that has been rocked by the violence of racial inequity,” Jess says. His reading from Olio includes a list of burned black churches. Shetterly, who grew up in Hampton, Virginia and writes about the space program in Hidden Figures, mentions that her research gave her insights into “the push to integrate the schools in the state of Virginia”—“the country’s most intransigent foe of integrated schools,” as she writes. “When you’re writing, are you hopeful?” Dove asks. And yes, putting it on the page, bringing stories to life, gives these extraordinary writers hope. Anna Badkhen visits a village in Senegal, as she continues her chronicles of “everyday life in struggling nations such as Afghanistan, Iraq, Mali and Somalia;” Jennifer Clement’s Gun Love “provides a glimpse of people who dwell every day knee deep in the toxic waste of our gun culture;” Michael David Lukas attracts comparisons to Lawrence Durrell for his portrait of Cairo in his second novel; Henry James haunts the second Domenico Starnone novel translated by Jhumpa Lahiri, and Luis Urrea’s new novel has much to tell us about the immigrant condition. Badkhen’s sixth book takes her to a village in Senegal where she observes the quotidian workings of the fishing fleet. Clement’s fourth novel revolves around a twelve-year-old raised in a car in Central Florida by a single mother who gets involved with a gunrunner, with tragic consequences. 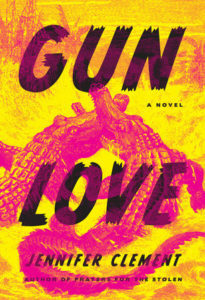 Full of sorrow and aching sweetness, Gun Love provides a glimpse of people who dwell every day knee deep in the toxic waste of our gun culture. They may be America’s forgotten children, but after reading this novel, you are not likely to forget them. Lukas’s second novel crosses centuries and cultures as a young Berkeley graduate student tracks generations of the Muslim family who guarded Old Cairo’s Ibn Ezra Synagogue for nearly 1,000 years. “Like a contemporary Lawrence Durrell, Lukas (The Oracle of Stamboul) turns the Egyptian city into a tantalizingly seductive place of mystery,” writes Publishers’ Weekly. 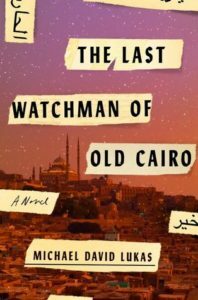 “Last Watchman weaves a young man’s journey to discover answers to family secrets through multiple generations, Muslim and Jewish history, British imperialism and protection of an enigmatic, elusive Jewish artifact, the Ezra Scroll,” notes Lou Fancher (San Jose Mercury News). A second Starnone novel translated by Jhumpa Lahiri pits a septuagenarian illustrator against his own grandson in a tale replete with ghosts and dangerous chasms. “A gorgeous account of a man’s struggle to reckon with the life he’s lived and the lives he hasn’t,” concludes the starred Kirkus review. Big Angel’s family gathers for his mother’s funeral as he faces his own end stage of cancer. 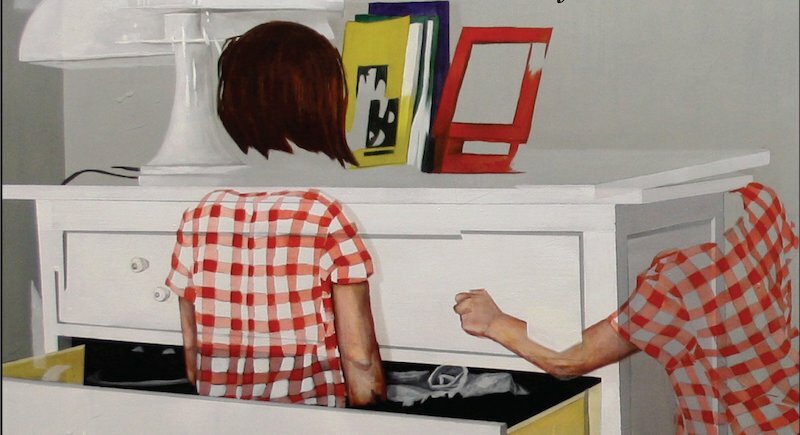 Urrea captures community with all its rhythms, memories, and stories. 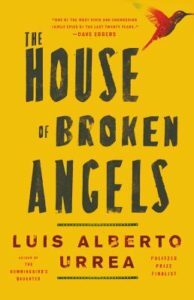 In a world that reduces human complexity to phrases like anchor baby or in-migration, a novel like The House of Broken Angels is a radical act. It is a big, epic story about how hard it is to love with all of your heart, and all of your family — regardless of which side of the border they live on. 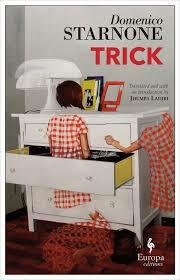 After all, as this novel keenly reminds us, all of us will one day wind up on the other side.